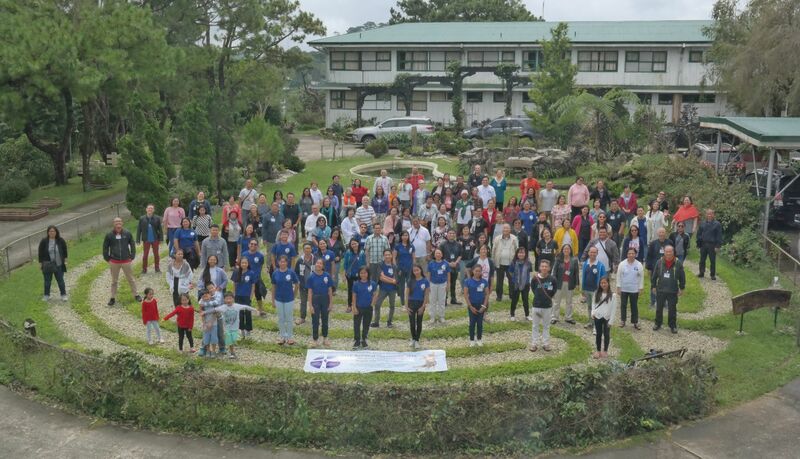 We want to share the exciting plans for our 2018 National Convention at Mirador Jesuit Villa in Baguio City. The theme for this year's convention, "CLC: a gift for the Church and for the world" is synchronized with that of the World Assembly. We draw inspiration from the Gospel verse: "How many loaves do you have? Go and see" (Mark 6:38). This year is also special because this year we celebrate the 50 years of CLC in the Philippines. Surely, it is but proper to look back at our loaves and fish and see how they have multiplied. Reflecting on the theme of "A gift for the Church and for the world", we shall follow the approach of looking at our 50 years of graced experience and seeing the gifts we have received, we shall examine whether we have shared these as in the multiplication of the Five Loaves and Two Fish. It is a time for celebrating the blessings we have received and letting these gifts encourage us to forge ahead. It will be a time of great festivity. Please reserve the date, if you have not yet done so; and register now for the 2018 CLC National Convention which will start in the morning of August 25, Saturday, and end after lunch on August 27, Monday. Since the Convention takes place over a three-day holiday weekend, we recommend you make your transportation booking early! The 2018 National Convention is the culminating activity of our 50th year celebration which we named, Fanning the Ignatian Flame at 50: Family, Friendships, and Frontiers. In this regard, there will be a Magis Awards Ceremony where we will recognize those specific individuals, members and communities who have inspired us to greater apostolic zeal through their selfless and valuable contributions to CLC, society, and the Church. As each community recalls the five loaves and two fish it has received and which each has shared over the past years, we would like each community to make a poster of their apostolic services. This should be 28.5 inches by 22.5 inches (cartolina size). A 1- page write up describing the pictures indicating the type of apostolate, who the beneficiaries are and a short narrative of how it has helped the CLC community and the recipients should accompany the poster. These will be posted in a gallery for all to view. To deepen our commitment to mission in our service to the Church and the world. The Convention promises to be both fun and enlightening. Register now and don't miss out! An overview of the schedule is available at the end of this letter. The program fee for the National Convention, inclusive of meals and administration expenses, such as materials, stationery, etc. is P2,500.00. Mirador has offered us its rooms for Free! As you register, we will begin to assign people to rooms. In as much as we may have participants who are Senior Citizens and Persons with Disabilities, we will give them priority for first floor rooms. Also, please be ready to share rooms with your co-delegates because rooms in Mirador may be limited due to some necessary renovations. However, be assured that we will try our best to accommodate your preferences. Please register and book your flights soon to avoid problems since the dates fall on a three-day weekend. For those who will be flying in, you may want to consider flying to Clark and taking the Point to Point bus from Clark to Baguio. This will facilitate your travel and relieve you of the Manila traffic. The registration details are attached. For any information and/or assistance, please email[email protected] or text or call our cellphone no. 0915 800 5368 or call our landline no. 426 0074. See you all at the National Convention in Baguio City! 8:00 Talk on "Gaudete et Exultate"